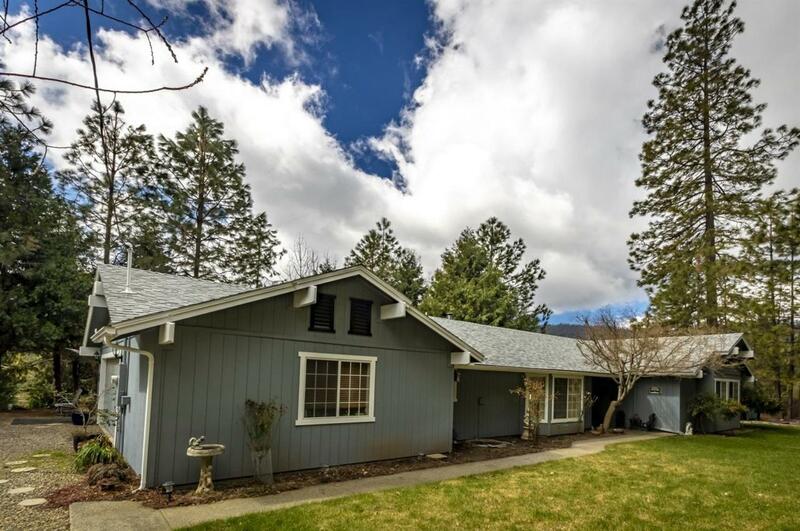 Enjoy the privacy with this home all while taking in the surrounding mountain views and only minutes to Bass Lake Recreational Area. There have been a number of recent upgrades with the newer wood stove, roof, flooring throughout the home to name a few. Great patio area for relaxing with all of the trees for shade. Be sure to bring your RV for extra parking and full RV hookups and another location to park another RV that has water and a small concrete patio pad as well. If you are feeling like you want to have a few horses, well not problem here with a small storage area for your hay and feed along with an area for your animals to get in out of the weather as well. The front and back yards are on automatic sprinklers system to keep your yard green and cool year 'round and don't forget to check out the spa that is included with the home.